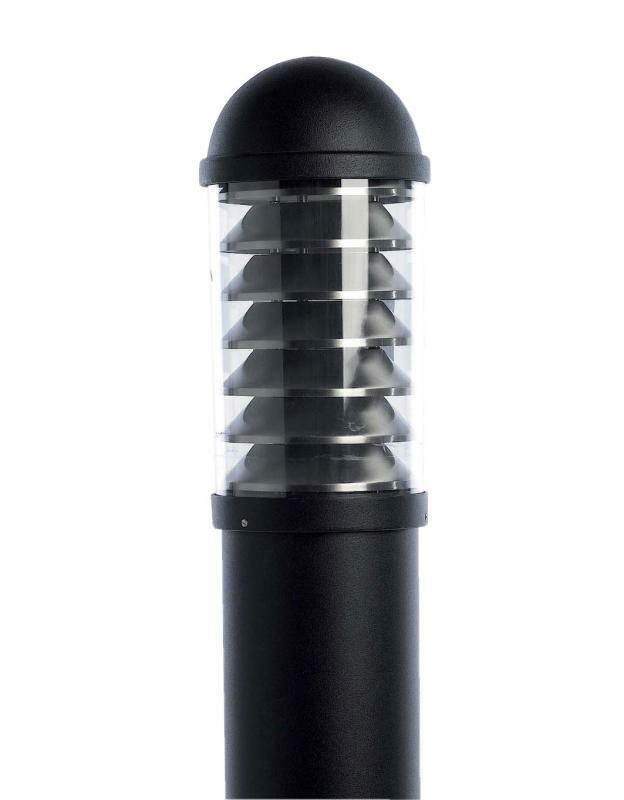 Die-cast aluminium bollard with polycarbonate diffuser. Internal stainless steel louvre. Detachable head for easy access to the lamp housing. Suitable for surface mounting. Supplied with root mounting kit. Supplied Less Lamp.